Just for preschoolers (ages 3-5, potty trained)! 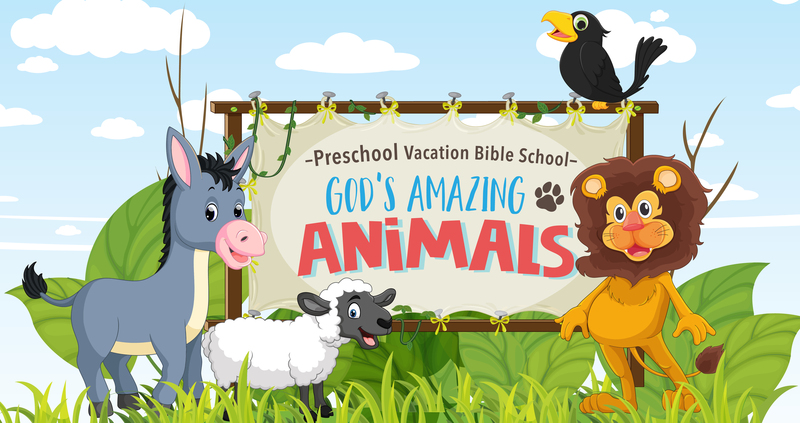 Come join us for a special Vacation Bible School (VBS) summer camp to explore all kinds of exciting animals and hear stories about animals in the Bible! We will enjoy four fun days of crafts, music, science activities, and a petting zoo! On the last day, families of preschool VBS participants are invited to stay for a special celebration and to visit the petting zoo with their children. Registration closes on May 27 or when spots are filled. Register early to be guaranteed a spot. Refund requests must be emailed to Renee Williams at . A 50% refund of paid fees will be granted for refund requests received by May 5. No refunds on May 6 or after. Scholarships are available. Submit scholarship requests to Renee Williams at or call 703-793-0026 Ext.128. Ready, Set, Go! 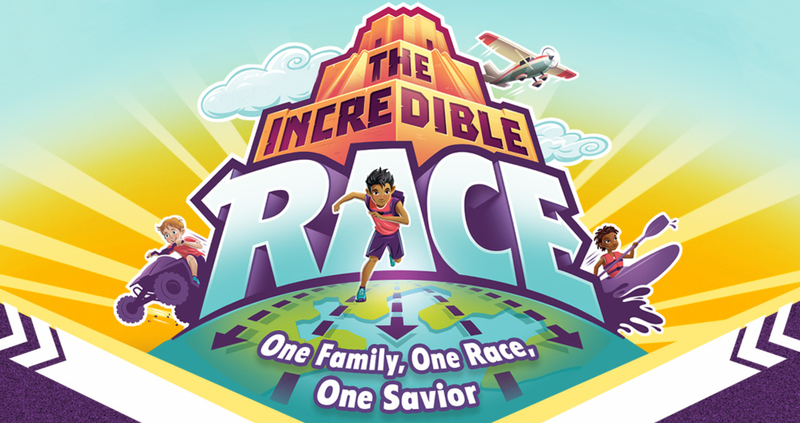 All elementary children (grades K-5) are invited on our incredible race from continent to continent to uncover clues, attempt challenges and experience God's love for every tribe, language and nation! Our exciting adventure will include globe-trotting games, creative crafts, sensational snacks, epic Bible stories and more! Come join us on this amazing adventure to discover we are all one family, one race and have one Savior. On the last day, families of VBS participants are invited to a special celebration of our Incredible Race week. We will show a slide show, perform VBS songs, present finished projects and more! Come see and share in the fun with your child. Free child care will be available for preschool children and infants. Register for child care. Registration closes on June 3 or when spots are filled. A 50% refund of paid fees will be granted for refund requests received by May 5. No refunds on May 6 or after. Come have fun with us at Vacation Bible School as a VBS volunteer! We have some exciting Vacation Bible Volunteer opportunities for both adults and students. VBS volunteers with registered children for VBS will be reimbursement for paid registration fees, if the volunteer serves all 4 days for the entire shift each day.